Amongst the fresh ingredients, tasteful decor and state-of-the-art equipment, professional kitchens the world over are overflowing with a heavy dose of machismo. Last year, double-starred Michelin chef, Tom Kerridge, left a somewhat sour taste in the mouth when he said he wasn't convinced the industry was for female chefs, especially on the professional front. When you consider the stats, Kerridge’s words are not exactly untrue. Whilst three of the restaurants in last year’s list of the top 50 restaurants in the world had a female head chef or owner, none had a solo female head chef and none were found in world culinary capitals like London. Yet, in the professional kitchen of the White House, Cristeta Comerford is doing her bit to rebut trends, having spent the past decade making culinary history as executive chef to the most important family in America. Not only is she the first woman chef, but she is also the first person of Asian descent, the first Filipino and the first person of colour to be at the helm in the First Kitchen. In other corners of the world, women chefs, like Hélène Darroze, who is executive chef at the Connaught in London and winner of The Veuve Clicquot World’s Best Female Chef Award 2015, are definitely making waves. Back home and the ladies are taking on the heat of the working kitchen just as well, ‘with a lot of women in professional kitchens, especially in South Africa’, says Margot Janse, the incredibly talented executive chef at the award-winning Le Quartier Français Hotel in Franschhoek, which, incidentally, is owned by an equally talented female, Susan Huxter. “However, whilst there is big difference at the top, the women who are there are great role models for the younger ones, which is what this industry needs,” says Margot. It’s not just budding female chefs who should take note, though. For Jackie Cameron, the famous chef and owner of the School of Food and Wine at the Hilton in KZN, her ability to second guess is what sets her apart from her male counterparts. “Women chefs are just as good, if not better than most male chefs, but, in most cases, females lack confidence. Females can second guess themselves whereby males don't seem to as much – my second guessing myself is what I feel has given me the edge. Confidence, not arrogance, is essential,” she says. With confidence comes top-end positions and top-end salaries, but, according to Lizelle Stolze, in comparison to international standards, female chefs in South Africa have somewhat of an easier task, as the pressure and competition is so much bigger abroad where women constantly need to be at the top of their game to get noticed. “Salaries for chefs abroad are much better than they are here, but this shouldn’t be a deterrent,” says Lizelle, co-owner and executive chef of the Serendipity Guest House and Restaurant in the Wilderness. 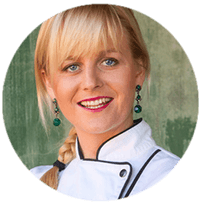 The talented chef, who was chosen by SA Tourism as one of the Top 10 Women Chefs in South Africa 2013, started her restaurant with husband Rudolf almost 15 years ago and has made a big impression on the local culinary sector. There is also the argument that the gender divide in the professional kitchen is not due to a lack of opportunity and female role models (the latter of which are in abundance thanks to the likes Delia, Nigella and South Africa’s Jenny Morris and Siba Mtongana, to name but a few), but simply because women do not actually want to be there. “Often, female chefs simply have different needs and desires going into life. My question is why does a female chef have to be in a restaurant to be achieving? For some, a restaurant is either in your blood or not,” concludes Jackie. Regardless of opinion, the fact remains that there are many top female chefs out there and, whilst not all are necessarily in restaurant kitchens, those who are there are slowly but surely getting the recognition they so rightly deserve.